But are they real or fake? There’s evidence that the next Call of Duty game will return to the World War II setting seen in the first three titles and 2008’s World at War. 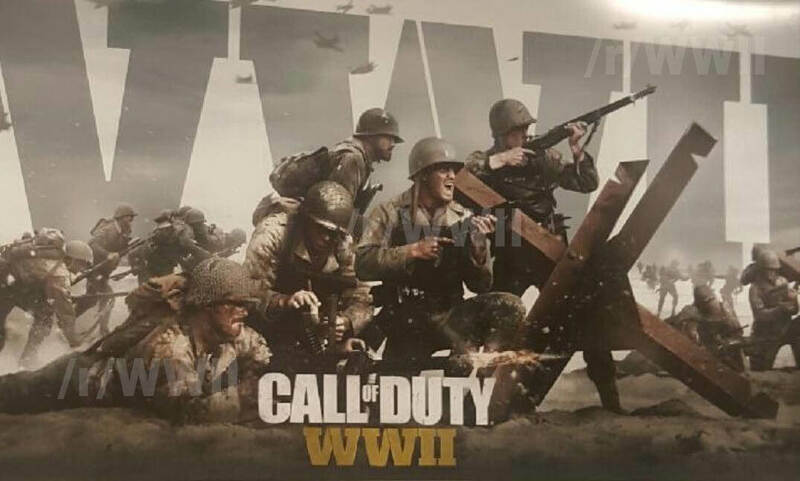 Images from this Imgur page showing promotional artwork and Steelbook concept covers for “Call of Duty: WWII” have been shared online over the last few days. It includes a link to a YouTube video by TheFamilyVideoGamers, who says he was emailed the pictures by someone called “Anon Nymous.” Skip to around the 2:20 mark in the vid (below) to see the reveal. While this could all be an elaborate hoax, Activision has been talking about taking the series “back to its roots.” During an investor call this year, COO Thomas Tippl said that “traditional combat” would be a key feature of this year’s entry. CEO Eric Hirshberg believes 2016’s Infinite Warfare had “underperformed” as the space setting failed to resonate with fans. In 2014, Activision announced it was switching from a two to three studio rotation development cycle for the CoD games. This year it’s the turn of Sledgehammer Games, which last worked on 2014’s Advanced Warfare. During a 2014 interview with Metro, Sledgehammer co-founder Michael Condrey hinted he’d like to return the series to WWII and talked about his fascination with the era. “I think a next generation game with the latest production values and robustness in a World War II setting like Band of Brothers would be amazing,” he said. While the images could be fakes, last year’s Call of Duty’s titles – Infinite Warfare and Modern Warfare Remastered – were first revealed in leaks. Activision usually announces CoD names in late April or early May before releasing the games in November, so we’ll find out if the series is moving from the future to the past in a few weeks’ time.